Animal models are fundamental tools to study the biology of physiological processes and disease pathogenesis. To study invasive pneumococcal disease (IPD), many models using mice in particular have been established and developed during recent years. 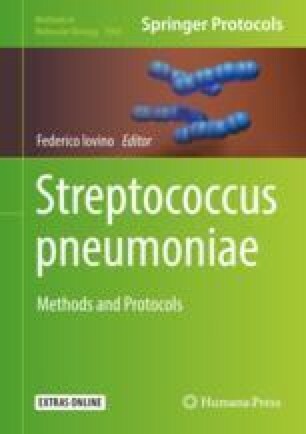 Thanks to the advances of the research in the pneumococcal field, nowadays, there is the possibility to use defined mouse models to study each disease caused by the pneumococcus. In this chapter mouse models for pneumonia, bacteremia, and meningitis are described. Since pneumococci are commensal pathogens found to a high extent in healthy individuals. Hence, we also describe a mouse model for nasopharyngeal colonization.